Upon reading Dan Macon's blog, Preparing for the Unexpected, I was reminded of my own lack of preparedness. Recent losses in the agricultural community, of mentors, friends, and colleagues, have struck close to home. I have worked with some of the families in trying to secure the continuity of what had become, in a moment, their responsibility. A responsibility that they were unprepared for. In every case, those that were lost had the plans for running the operation in their heads. They knew what to do to keep the operation running, but no one else did. I realized that every aspect of my operation is contained in my head. For me this provides flexibility and allows me to react in the moment. I do keep written business records, sales and such, but I do not keep written operational procedures. Recent events in my own life are causing me to take steps to remedy this. My wife and I have switched roles. She is transitioning into the primary role of managing our operation as I work outside the home. I am constantly reminded that she does not know what I do. Our operation is multi-faceted. 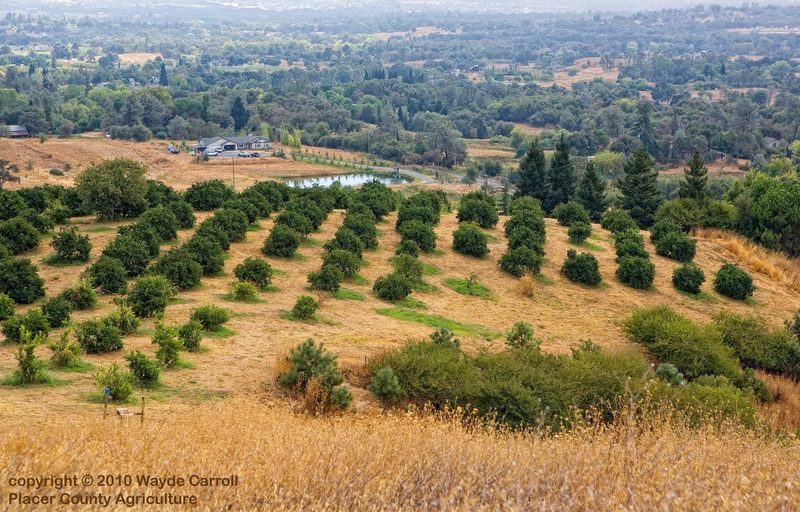 Not only are we fruit growers, but we produce and market a line of value-added products. Our products are sold wholesale and directly to consumers via numerous outlets. Procedural documentation for running the business seems a monumental task. Based upon my experiences over the past year, I have decided to start documenting what is necessary to get the crop to harvest and sale. A successful harvest is the basis for everything that we do. So I asked myself what was most important to help ensure a successful harvest. I started with a map of the irrigation system clearly indicating pipes, timers, valves, filters, and the location of the water box at the canal. In this file, I included documents such as controller manuals and irrigation schedules, valve maintenance documentation, water agency contacts, and a list of irrigation parts suppliers. From this, I moved on to an actual map of the orchard. 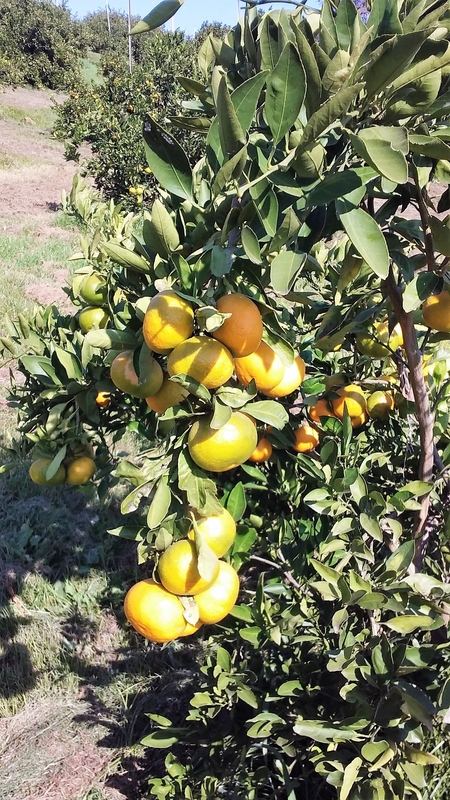 We grow many varieties of citrus; all planted randomly. Our orchard map now points out specific varieties and the approximate pruning and harvest schedule for those varieties. In a second file, I began to assemble information and documents that were pertinent to the sales aspect of our operation. I included information, by variety, on current pricing and packaging. Because we sell at the farmers' markets, I made sure that my wife is listed on our Certified Producer's Certificate and that a copy is present in the file. I included copies of our California Sellers Permit, Placer County Environmental Health permit, certified scale certificate, pesticide permit, and a current copy of our business insurance policy. I included information on supplies: bags, boxes, clippers, harvest totes, etc. In a secure location, I have copies of banking information and notes on logins and passwords for anything relevant to the operation. I have been granting my wife electronic and written permission to these accounts to ensure that she has access. In the event of the unexpected, I do not want her to be hamstrung by red tape. Like my operation, all of these documents are living. I will add and subtract to the overall total. Recent events, both local and national, have reminded me that the unexpected comes in various ways. I had farming friends who were forced to evacuate at a moment's notice during the recent wildfires. I plan on including some form of evacuation plan in my procedures. Part of my plan is to make sure that all of my procedures and records are contained on electronic media that I can store somewhere secure or grab at a moment's notice. Maybe I will send a copy to my sister who resides out of state for safekeeping. As I progress thru this exercise, I am constantly reminded that planning for operational continuity is done for many reasons, not just the unexpected. Many of us are transitioning our operations to partners or the next generation. Others may be preparing an operation for sale. Whatever the reason, the task is not insurmountable. If you're interested in learning more about planning for the continuity of your farm or ranch - and in sharing your experiences - join us for our next Farmer-to-Farmer Dinner at the Auburn Veterans Hall on Wednesday, November 1, from 6 to 9 p.m. Please register for this event on this web page! This free event is supported by grants from the USDA Risk Management and Farm Service Agencies.